David “Mac” Macmaster, CSAC, PTTS, co-founder of the Wisconsin Nicotine Treatment Integration Project (WINTIP) provides personal and professional reasons for integrating evidence-based nicotine treatment into Wisconsin’s AODA and mental health services.This presentation was featured as a keynote address for the 2010 Addiction Recovery Month Symposium at the Indiana state conference of addiction and tobacco providers in Indianapolis. 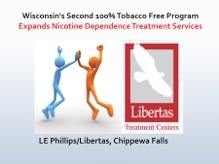 WINTIP clinician surveys indicate Wisconsin clinicians now believe it is the ethical and clinical responsibility to treat tobacco/nicotine dependence while other treatment is being provided.This webinar identifies key issues, research findings that support integration and shares the WINTIP story and its progress. 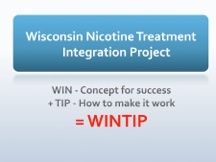 This webinar presents the birth of WINTIP and its early history and mission to save Wisconsin lives.